Welcome to Beaver Creek, the ultimate setting for your mountain vacation! This fabulous, true ski-in/ski-out penthouse is located in theBeaver CreeK Landing condominium complex. 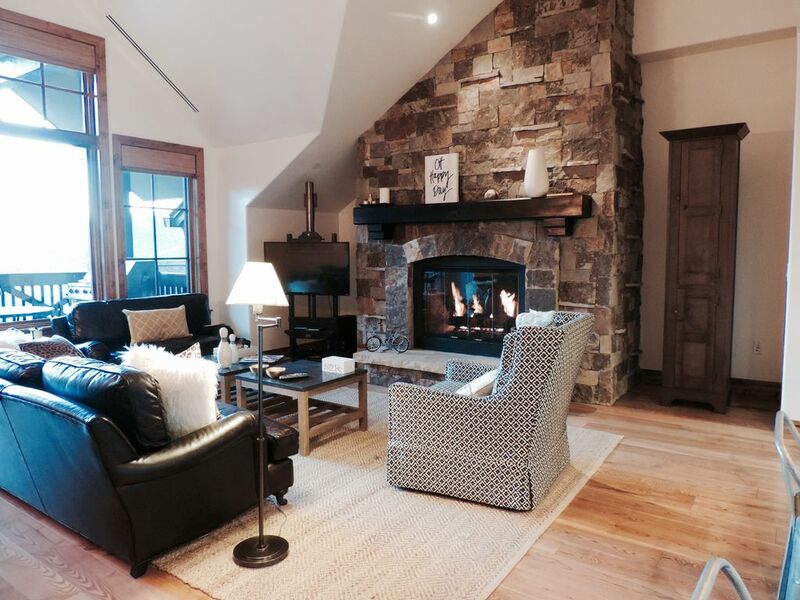 With private views of the mountain, this luxurious home offers guests incredible ski-in/ski-out access, and is ideally located on the golf course at the entrance to the Beaver Creek Resort. - Bedroom 1- This master bedroom features a king-size bed with a private bathroom (tub/shower), a flat screen TV, and a DVD player. - Bedroom 2- A second master bedroom that features a king -size bed with a private bathroom shower, a flat screen TV. - Bedroom 3- This bedroom features Two queen size bunk beds, a bathroom (tub/shower) a flat screen TV. We hope that you will enjoy every minute of your stay, and create memories that will last a life time! Excellent location, spacious and comfortable ski-in-ski-out condo with very quick access to the lift. Was there for a weekend but wanted to stay longer. Only two downsides is that there is only 1 parking spot for a condo that can fit up to 12 people, and communication was not returned in advance of the trip when I was preparing for it. That said, in the couple days leading up to the trip, Pablo was very responsive. Overall I would highly recommend and will definitely return. Outstanding unit. Perfect family ski vacation. Location is great. Spacious, comfortable and relaxing after skiing. No need to leave except for groceries! Will definitely be back. We have stayed in the area many times and loved this condo. The location was perfect. it was spacious and comfortable. Would definitely stay again. Our family had a great stay at this ski in/out condo.